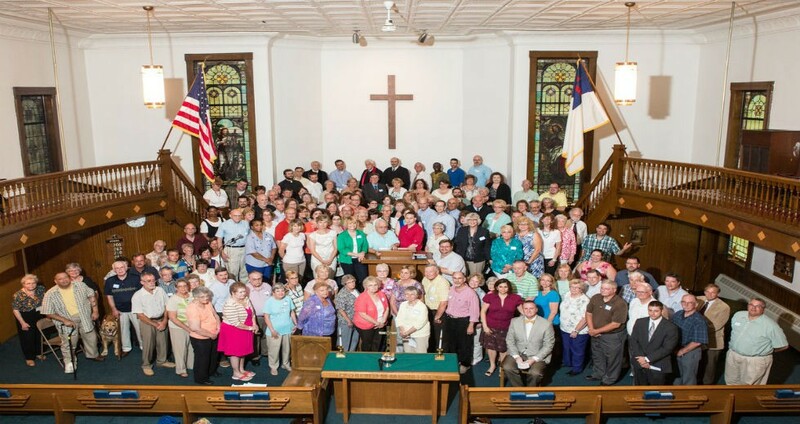 As we right-size our presbytery for 6200 members in 47 congregations, Shenango is conducting a fundraising campaign to sustain our ministry of visioning, training, and supporting our congregations for the next 5-10 years. We are reaching out to pastors, sessions, congregations, and friends of our presbytery for their support above and beyond the Per Capita offerings. Rev. Andrew Jillson (Northminster) and Elder Gary Barr (Bessemer) are co-chairing our campaign efforts. Please take a few minutes and visit the Campaign page on our website to learn how you and your congregation can help. Our Executive Presbyter, Ralph Hawkins, will be preaching at Clen-Moore church (May 14), Unity church (May 21), and attending the retirement lunch for Rev. Andrew Jillson at Northminster church (May 28). Ralph welcomes opportunities to preach or bring greetings during a worship service, as well as opportunities to visit Session and Deacon meetings. Schedule a Sunday or a meeting time by contacting him at 724-528-1610 or ralph@shenango.org. – TE Maurice Smith has been received from Scioto Valley Presbytery to our Honorably Retired roll. – COM validated the ministry of TE Michael Spicuzza (MAL) as a Volunteer Pastor with the Lebanon church, sharing as a volunteer in pastoral ministry with TE Augie Hurst and CRE Tom Wilson. – TE Steven Stelle and TE Mark Thompson from the Approved Pulpit Supply list, as they are currently members of Eastminster Presbytery in Ohio. – The following members of presbytery have been appointed session moderators for congregations in transition: TE Bill McGary (Wampum) for Clen-Moore and TE Janet Segall (MAL) for Northminster. Our sisters and brothers in the Sudan Presbyterian Evangelical Church (SPEC) are having very serious levels of conflict that have deeply divided their denomination. The Presbyterian World Mission Africa Office is encouraging all of SPEC’s friends, including those presbyteries and congregations who are in partnerships, to observe a Day of Prayer and Fasting for the Unity of SPEC on Sunday, May 21. Pictured here, TE Glenn Hink (First Sharon), moderator of our Committee on Ministry, recently led a discussion among our pastors under 50 years old about the purpose and future of the presbytery and about mission and ministry in our current context. 14 pastors participated in what we hope will be the first of many such engagements. The Young Adult Volunteer program is a faith-based year of service for young people, ages 19-30, in 21 sites around the world and in the United States. YAVs accompany local agencies working to address root causes of poverty and reconciliation while exploring the meaing and motivation of their faith in community with peers and mentors. Program benefits include monthly stipend, housing, transportation, and student-loan repayment options throughout the duration of the year. Learn more about this opportunity! Last call to apply for 2018 is June 1, 2017. The Rev. Dr. Donald P. Wilson (formerly of Lebanon Presbyterian Church) will celebrate his 50th year of ordination on Sunday, May 21st at a special worship service and reception at Hewitt Presbyterian Church, 1206 Crucible Road, Rices Landing, PA 15357. Rev. Wilson and his wife Debbie are retired and living at 425 Haines Hollow Road, Waynesburg, PA 15370. Help get Camp Lambec ready for opening and perform some maintenance on May 20thfrom 9:30 AM to 4:30 PM. There are jobs for all skill levels. Please bring a bagged lunch, drinking water, work gloves, hand sanitizer, and any tools that you think would be helpful. Please email Bob Meanor at meanor300@comcast.net by May 14th if you are attending (and with how many people). NOTE: Due to ongoing water problems at Lambec, the camp’s water is NOT USABLE and volunteers are not permitted to spend the night. Please plan accordingly. The Presbyterian Media Mission (PMM) has a new website at http://presbymediamission.org/ Every day their home page lifts up a social and spiritual issue being faced in every community, and each day there are varying posts that go out via Facebook and Twitter dealing with various stories. A 2017 training seminar for fire and police chaplains, clergy, mental health professionals, and emergency responders will be held Monday and Tuesday, June 5 & 6 in Hermitage, Pennsylvania. When a large or long-term traumatic incident takes place in your community, how will you provide and coordinate efforts to provide spiritual and emotional care to so many people? This year, we’ll help you answer that question as we offer the International Critical Incident Stress Foundation’s “Strategic Response to Crisis.” We’ll have a great class with a great teacher. We’re in a new location this year and class size is limited, so we need you to register soon. And if you send in your registration form and check by or before April 7th, you’ll get a $25 discount! For more information, visit http://tinyurl.com/z4vrp95, www.Tinyurl.com/Chap2017, or the “Chaplains” tab at www.StPaulsHermitage.org. The 2017 New Wilmington Mission Conference will be held July 22-29 at Westminster College in New Wilmington, PA. At 112 years old, the New Wilmington Mission Conference is the longest-running mission conference in the United States. Held on the campus of Westminster College every July, NWMC is intergenerational, Presbyterian-related and youth-focused. About 1,000 people attend from over 30 states and 20 countries for a chance to connect with mission workers and hear what God is doing all over the world. This week-long conference features many well-known and engaging speakers for one low, all-inclusive price! This year’s speakers include Dr. Rodger Nishioka, Director of Adult Educational Ministries at Village Presbyterian Church, and Rev. Dr. Jim Singleton, Associate Professor of Pastoral Leadership and Evangelism at Gordon-Conwell Theological Seminary, as well as many others. Come for the week and stay on campus or just drive over for the day! Info available on the website. Visit the conference website here for more details or to register. The New Wilmington Mission Conference is looking for volunteers to do some light office work (preparing mailings, answering phones, etc.) during the months of June and July. If you might be interested in helping out for a few hours/days, please contact Andrea Hall, office manager, at office@nwmcmission.org or 724-946-9770. Jameson Hospice will host the Hospice Foundation of America’s Living With Grief Program titled, “When Grief Is Complicated” on Thursday, June 8 from 12:30 to 3:30 PM at UPMC Jameson Main Campus Cafeteria, private dining room 2. This program is practical for individuals or families dealing with this life issue, and all levels of professionals…useful to health care clinicians, social service clinicians, palliative care, counseling, hospital, nursing home, funeral home or faith community environments. The event is free to the public. CEUs are available, and registration is required by June 1st. Contact Pastor Marsha Parrish for more information, 724-652-8847 or parrishma@upmc.edu. God calls us, not only to participate in God’s mission, but to particular places. Situated within particular streets, sidewalks, parks, stores, and empty lots of a neighborhood, the Church seeks the shalom of their city, and all that this entails. But what does this mean? Share in conversation with local and international scholars, pastors, and leaders committed to building healthy communities…June 21-23 at Pittsburgh Theological Seminary. Join in for one day or all three! Each day includes prayer and dwelling in the Word, stories from the neighborhood, salon-style conversation, and discussions of next steps. For more information, http://www.pts.edu/God-in-the-Neighborhood. Calvin Presbyterian Church is in need of a Summer Ministry Aide (preferably high school graduate or older) to work 9 hours per week, Tuesday-Wednesday-Thursday from 10 a.m.-1 p.m., beginning June 6 and ending August 10. This position is part of an ongoing ministry to children in the neighborhoods surrounding the church. The church will provide free recreation, gospel teaching, and a hot lunch to the children. The aide, who will report directly to the Pastor, will be expected to assist the Summer Ministry Coordinator and volunteers as needed, and demonstrate the unconditional love of Jesus Christ. Other responsibilities may be included to suit the needs or gifts of a particular applicant. A stipend of $750 will be paid for this position.